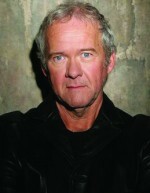 Chilliwack, BC – In his over 40-year career, Murray McLauchlan has won 11 JUNO Awards and received 24 nominations. As one of Canada’s most decorated artists, McLauchlan was appointed to the Order of Canada in 1993. McLauchlan also connected with close to 1 million Canadians every Saturday night when he hosted “Swinging on a Star,” the CBC’s top-rated music show throughout the mid-80s. Put simply, Murray McLauchlan is a Canadian treasure. In 2011, McLauchlan entered the studio with a renewed passion and drive, returning to his roots as a songwriter. The result is Human Writes, his first album of new, original material in 15 years. Simply put, Human Writes is a pinnacle work in a lifetime of achievement. Murray McLauchlan at the HUB International Theatre at the Chilliwack Cultural Centre October 24 – Ticket information here. Be the first to comment on "Murray McLauchlan At The Cultch October 24"